Unique Equipments is acknowledged as one of the famed Tablet Metal Detector Manufacturers, Suppliers and Exporters from India. 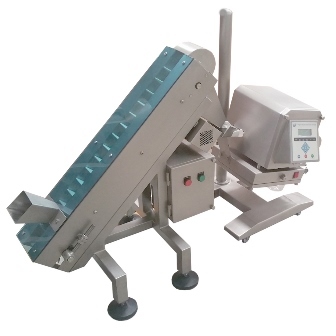 These Pharma tablet metal detectors are used for online inspection of Tablet and Capsules and separate Metal contaminated product from them without production interruption from a stream of tablets or capsules. It is widely appreciated for high processing speeds and quick product change. The range of Tablet Metal Detector offered by us is widely used in pharmaceutical industry and provides highly accurate online metal detection. Modular plug in card system.